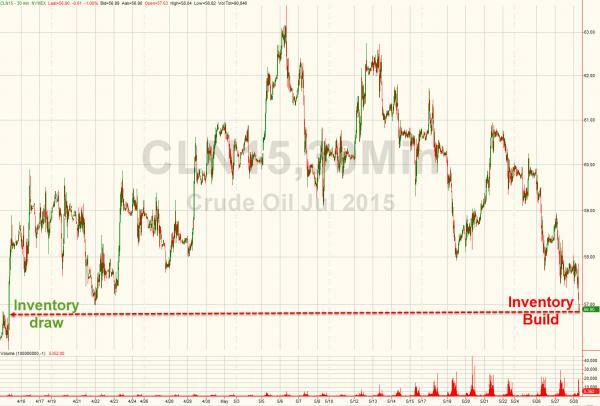 WTI Crude hit new 7-week lows, dropping below $57 (front-month) for the first time since April 15th's 'inventory draw' rip. In addition to reports from Reuters of leaked details about OPEC not expectated to cut production (did anyone really expect that), a combination of renewed inventory builds (as reported by API last night) and reports that Iraq is increasing its supply to new record highs is forcing futures prices to catch down to physical markets. Iraq is ready to increase its crude exports to a record 3.75 million barrels per day in June, continuing OPEC’s strategy of ousting US shale producers from the market. The extra oil from Iraq comes to about 800,000 barrels per day, more than from another OPEC member, Qatar, said Bloomberg, referring to Iraq's oil shipments schedule. 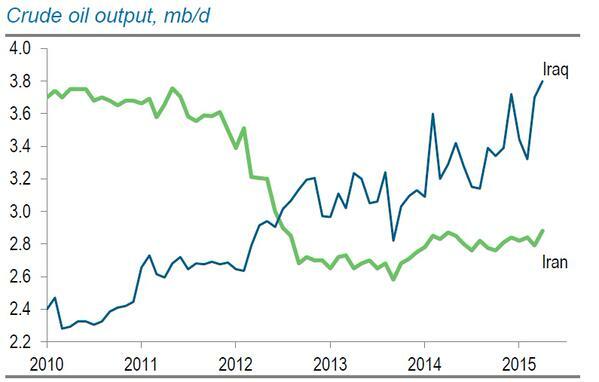 Iraq is increasing oil exports in two directions. The first is in the Shiite south, where companies such as BP and Royal Dutch Shell work. The second is Nothern Iraqi Kurdistan, whose government last year received Baghdad's consent to independent oil deliveries. In April, Iraq exported almost 3.1 million barrels of oil per day, which is a record. OPEC is not expected to cut oil production at its meeting in June, and the meeting is expected to be a short one, Saudi Arabia's Al Hayat newspaper quoted an unnamed OPEC source as saying on Thursday. Saudi Arabia will continue producing oil to meet customer demand, and its output is now at about 10.3 million barrels per day in light of growth in demand from China and India, the source added. 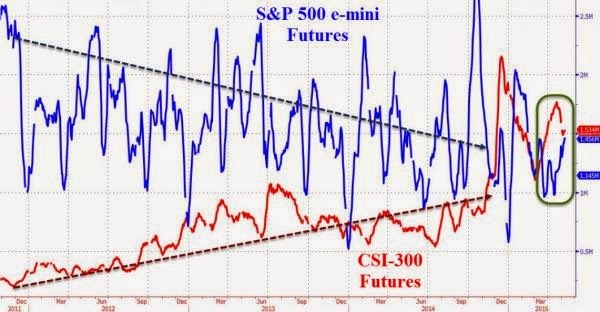 It appears, as we noted here, that futures prices are catching down to the phsyical markets' reality. There’s still some uncertainty regarding how soon copper will shift into deficit. However, positive arguments for the copper price got some support on Friday when a report from Bloomberg stated that five of the world’s largest mining companies have all said good things about the red metal over the last month. Meanwhile, Antofagasta’s (LSE:ANTO) Diego Hernandez continues to be skeptical of a copper surplus, with Glencore (LSE:GLEN) CEO Ivan Glasenberg echoing that sentiment, telling shareholders on May 7 that his company believes copper is moving into deficit. 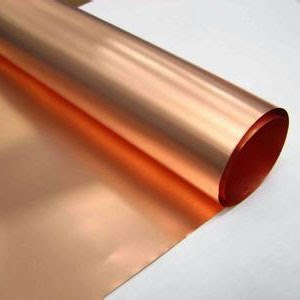 For his part, Freeport-McMoRan (NYSE:FCX) Chief Executive Richard Adkerson has reaffirmed his belief in copper’s strong mid- to long-term fundamentals. Overall, it looks like there’s a fairly similar message coming from all five miners. That’s worth some attention from investors given that the companies certainly haven’t seen eye to eye on a number of other issues as of late. For example, Rio Tinto CEO Sam Walsh has held strong to plans to continue growing the company’s iron ore exports, while BHP has indicated that it will slow its iron ore expansion program. 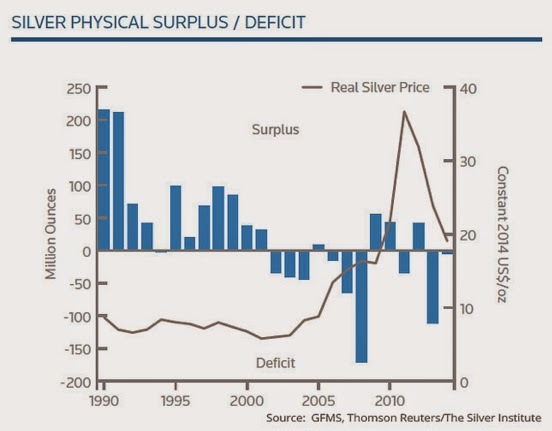 Recently, Rio changed its prediction regarding a copper surplus, saying that a deficit will come sooner than expected. “If you had asked me the question in December last year I would have said the inflection point would be three or four years down the road and today it is likely to be 18-24 months down the road,” Jacques told the Financial Times in an interview earlier this month. This week, the company reached an agreement with the government of Mongolia for a $5-billion expansion at its Oyu Tolgoi mine. On top of that, a growing number of analysts are predicting that a deficit will come sooner rather than later. Mineweb’s Kip Keen has pointed out that a growing number of companies and analysts are turning more positive on copper, and while firms like Thomson Reuters GFMS and the International Copper Study Group are still calling for a surplus this year, most see a growing deficit coming within the next 10 years due to a lack of new mines set to come online in the medium term. Cast in point: Thomson Reuters is forecasting that this year the copper price will average 12 percent lower than in 2014, but sees the incentive price for new mine development as being $7,073 per tonne; it believes the metal could rise that high within two to three years. Further, Cormark Securities said in March that it’s staying bullish on copper in the medium term, while Macquarie Research and Dundee Securities also see copper prices rising. The spot copper price was down last week, having lost nearly 4 percent to close at $2.79 per pound. Still, the red metal has risen about 8 percent in the last three months, taking back a respectable portion of its losses from the beginning of the year. In any case, at least some market watchers are responding well to the world’s biggest mining companies and their attraction to copper. Forbes contributor Trefis has upped its price estimate for Freeport-McMoRan from $17.41 to $21.62, largely on what it sees as improved pricing environments for copper and oil, and the company’s share price has managed to gain about $0.42 over the past month. Copper prices on the London Metal Exchange have met resistance from $6,500 per tonne and the July-delivery copper on Shanghai Futures Exchange was hovering near 46,400 yuan. 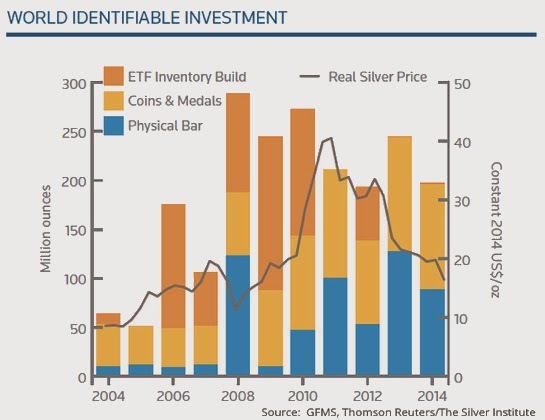 Is the red metal gathering impetus for further rebound? How far will copper prices go this year? Analyst of China’s Zhaojin Futures expects the El Nino phenomenon to send copper prices to a high of 50,000 yuan per tonne this year. “The recovery in China’s housing market may lead to an upturn in metal demand, while supply is relatively stable for now,” analyst of Meierya Futures told SMM. “The El Nino which may hinder operations at copper mines will serve as an extra motivation as well, so we see the peak price for copper at about 50,000 yuan a tonne this year,” the analyst added. Lead prices will be weighed on with bullish mood receding and secondary lead supply on the rise, Shanghai Metals Market believes. 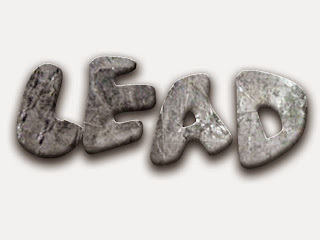 As per the latest SMM Survey, only one out of ten lead industrialist remained bullish toward lead prices, and six of them expected prices to fall after treading water in the past week. The remaining three considered it hard to judge the price trends. The strengthening bearishness is expected to pressure prices. On top of that, many secondary lead smelters have resumed production, and those unlicensed ones were willing to cut prices for sales, also boding ill for lead prices. This occurred at the same time when E-bike battery sector entered an off-season, which is curtailing lead demand. Resultantly, secondary lead supply remains ample even after a few producers were ordered to close again for environmental issues. SMM data indicate a fall in secondary lead quotes to only 11,650-11,750 yuan per tonne in Shandong and Anhui May 14. Price offers in Guangdong and Fujian dropped to 11,800-11,900 yuan a tonne, with trading muted. Of course, with millions of new retail trading accounts every week in China, we suspect this 'false dawn' of activity will not be quite as exuberant as we have seen for 6 months. Of course it is well known that a soufflé never rises twice. However now we have a situation where the Zinc price is ringing on the doorbell for the second time in the last six months as it has burst through the key $1 per lb barrier, below which it ignominiously plunged when the oil price slump was erroneously misread as the end of life as we know it in global metals markets. Everyone now knows that was bogus thinking. In the space of a few months in mid-2014 the metal, that suffered from chronic narcolepsy, awoke from its slumbers and rose from the low 90cts range to nearly $1.10 per lb before falling back into a swoon. Despite this the real believers have proliferated and their enthusiasm is now being rewarded. The interesting thing is that while many may have regarded our enthusiasm as misdirected in the dark times, zinc is a metal that now has few naysayers. There is nobody out there (that we have encountered, or heard of) who would claim that there is a tsunami of zinc production or vast hidden stocks that will appear out of nowhere to mug us. Everyone is in accord that the dark tunnel we have been through has denuded the production timetable of projects scheduled for production. We met with Alexco Silver a few weeks back and their CEO told us that people had been urging him to focus on the Zinc credits in his silver mines/deposits as that was the factor that would lower his cash costs. Likewise Chesapeake Gold has a very substantial Zinc stream potential at Metates that is icing on the cake for the rest of the project. The problem is that primary Zinc mines are now few and far between. It was interesting to note that MMG (controlled by China Minmetals) is openly talking about Dugald Rver as their next cab off the rank, after Las Bambas, which would have been regarded as a strange pronouncement only a year ago. The market is now desperate for Zinc stories that are realistic and of size. 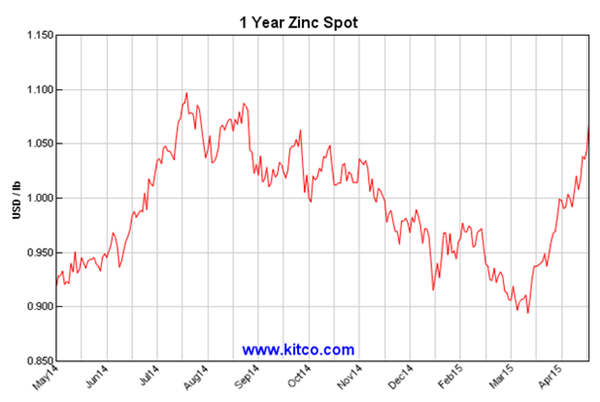 At the time of zinc’s surge we pronounced our view that when zinc moves, it will move fast. Now that it has shucked off the fallacious story of oil as some sort of economic canary in a coalmine, it has shot from the low 90 cts area again to above the crucial $1 barrier in just a couple of weeks. We would reiterate that we would not be surprised to see it top $1.30 in 2015. This is quite a rollercoaster ride. Buckle your seatbelts it’s going to be a bumpy ride. After over ten years of gains, global silver production is expected to drop this year, as new supply from projects won’t be sufficient to replace production losses from aging operations, a study released Wednesday shows. According to the World Silver Survey 2015, published by The Silver Institute and Thomson Reuters GFMS, global silver output went up by 5% in 2014 to reach 877.5 million ounces, the 12th successive gain and a new record. This year, however mine supply is set to decrease. “We’re just not seeing the investment in new mine capacity that would be needed to sustain continued record peak production,” Andrew Leyland, an analyst with GFMS who worked on the report, told The Street. Weak silver prices are to blame, the report says. The precious metal lost 20% of its value last year, closing at $15.70, and dropped 36% in 2013, exceeding the losses in gold and other precious metals. In the year through Tuesday silver prices have recovered by 6.2%, but they are still close to the five-year low of $15.365 an ounce set in March. About 70% of the global silver supply is produced while mining other metals, especially gold, copper, lead and zinc. Weak prices for these commodities are also likely to weigh on silver supply going forward, the report adds. India’s demand for jewellery surged by 47% to 62.2 million ounces, and it is set to outrank China as the world’s largest consumer, where jewellery fabrication dropped 26% to 46.7 million ounces. “Despite the Chinese economy growing at a reported 7.4% in 2014, the true impact on the ground failed to reflect this robust performance,” the report says. “Consumers were less inclined to spend as a result, with gold, silver, and platinum jewellery all recording annual declines as sentiment became cautious,” it adds. The outlook for the year is rather lukewarm. The report concludes that while silver prices will see some short-term weakness, they are likely to end 2015 at more than $17 an ounce, with a couple of years of modest price increases to follow. Antofagasta cuts copper output forecast over rain, protests in Chile. 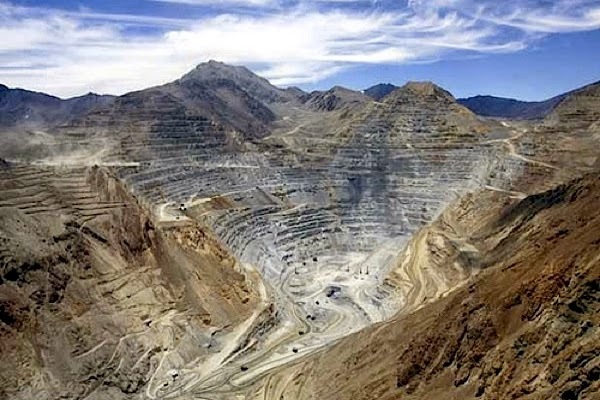 Disruptions at two of Chile-focused Antofagasta’s (LON:ANTO) mines during the first quarter of the year has forced the copper company to scale back its production guidance for 2015. The miner said Wednesday it lost about 8,000 metric tons of copper output due to a 10-day protest over water supplies at its flagship Los Pelambres mine in early March. Later that month, it was also forced to suspend operations at its Centinela, Michilla and Antucoya operations due to torrential downpours in northern Chile's Atacama desert, one of the world's driest places. The company now expects to mine 15,000 tonnes less than its original forecast of 710,000 tonnes, but maintained its annual net cash cost forecast of around $1.40 per pound. As a result, the company now expects to mine 15,000 tonnes less than its original forecast of 710,000 tonnes, but maintained its annual net cash cost forecast of around $1.40 per pound. 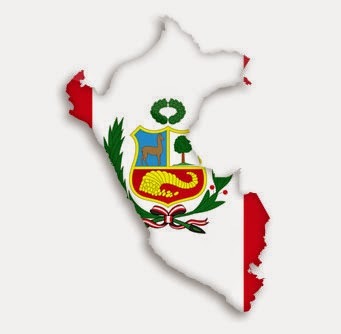 "Normal operations" have now resumed, said the London-listed miner, including at Los Pelambres mine,which produces more than 400,000 tonnes of copper a year, following anagreement reached with the local community. Antofagasta added it expected to recover some of the lost output through the rest of the year. The miner, which plans to spend close to $1.3 billion in capital projects this year after $1.6bn of capex in 2014, is in the middle of a sequence brownfield expansions at its Chilean operations. Construction at the $1.9 billion Antucoya project, said Antofagasta, is on track to be completed in the second quarter of 2015 and in full production by the start of 2016. Shares in the company were down 3.3% to 26.50 pounds by 12:48 GMT. Chile generates about a third of the world’s copper, with companies including BHP Billiton, Anglo American and Japan’s Sumitomo Corp all operating in the country.